If you want a road trip that covers a large number of U.S. national parks, head to southern Utah. The scenery is magnificent, and you can visit several parks in a week or less—depending on how much activity you choose to indulge in at each one. 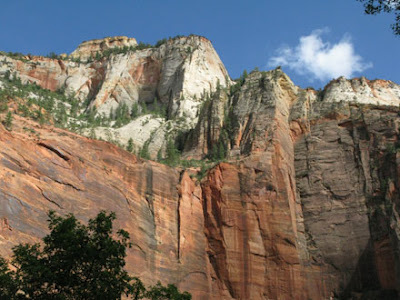 Hike among the brilliant red rocks and cliffs of Zion (don’t miss the traipsing The Narrows), and marvel at the other-worldly appearance of hoodoos in Bryce National Park. Head towards the quirky outdoors town of Moab, a base from which to explore Arches and Canyonlands National Parks. Don’t miss Delicate Arch, Utah’s most recognizable arch, and the deep, craggy canyons before heading to see incredible sights at Capital Reef National Park and Escalante Staircase National Monument. It’s one of the most amazing road trips we have ever taken. 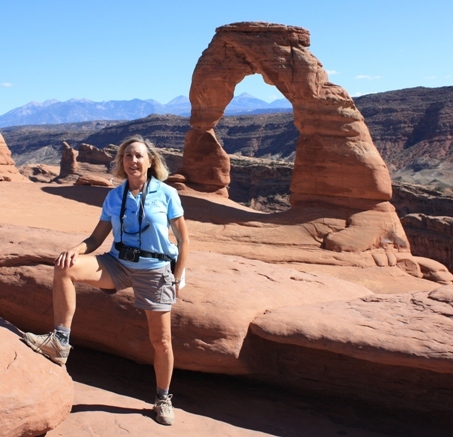 Hike up slabs of limestone to reach Delicate Arch. Sure, you know that Norway is the land of fjords and waterfalls. In fact, the beauty of nature is such a draw that the government has established 18 National Tourist Routes to showcase the best areas of the country. Whether you love mountains or valleys, there’s a route for every visitor through country towns and some of the most breathtaking scenery on the planet. If you go during summer, you’ll have extra hours of daylight (and maybe stay up all night to see the Midnight Sun) to drive and photograph unforgettable sights. Don’t forget your camera when exploring coastal towns and regions of this elongated country. Amazingly beautiful landscapes in Iceland attract visitors. Stretching my legs to straddle two tectonic plates, walking on black sand beaches, trekking inside an ice cave as well as on top of a glacier, soaking in hot spring water, and feeling the spray of waterfalls are just a few of the adventures we had in this picturesque land. Remote northern towns had some of the friendliest people who were delighted to share their culture and customs—not to mention plenty of food—with visitors. It's dark and chilly walking inside a glacier. A winding road on the northwest coast of Maui, Hawaii, the road to Hana is 64.5 miles of hairpin curves, narrow passes, and one-lane bridges. But it also wows you with bountiful gardens, myriad waterfalls, and some of the most stunning ocean views you’ll ever see. Green of every shade is common along the road to Hana in Maui. The road starts in Kahului and slowly follows Hwys 36 and 360 to the remote town of Hana, but it’s the journey to get there that is the main attraction. With mountains on one side and cliffs on the other, you’ll want to make this all-day road trip more than once. Stop for banana bread at the half-way point and have a picnic after exploring rocks and boulders along the black sand beach. Sunny days mean gorgeous reflections in many lakes of Canada. Icefields Parkway is one of the most beautiful drives in North America. It links Banff and Jasper National Parks, two of the most popular destinations in British Columbia. 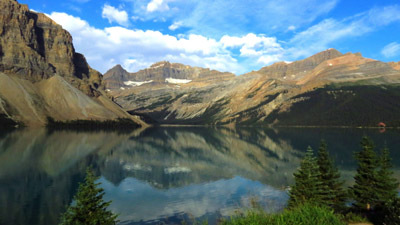 Start the drive by admiring sparkling reflections at Herbert Lake, and continue on to more lakes, waterfalls, and massive ice fields. Be sure to stop often at pull-out points, and add a tour to walk on a glacier to your itinerary. Allow plenty of time for this drive as the scenery is magnificent, and you’ll probably want to explore sites along the way. Walking on a glacier requires care not to step in a fissure with icy water.